Philips CDi (Compact Disc Interactive) was another strange format that ended up as a bit of a flop. CDi was supposed to be an all-purpose format which could support all manner of different applications including music, video, games, catalogues and lots of other odds-and-ends. 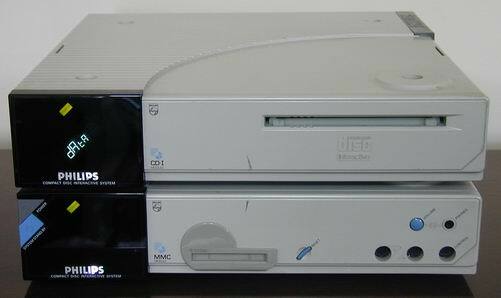 The machine below is the first ever CDi player, the CDI180 and the unit underneath is the MMC (Multimedia Card) module, the CDI181.